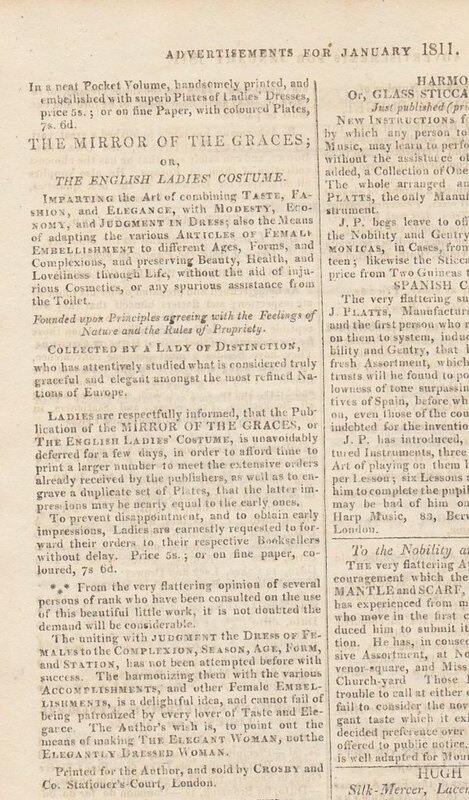 “In a neat Pocket Volume, handsomely printed, and embellished with superb Plates of Ladies’ Dresses, price 5s. ; or on fine Paper, with coloured Plates, 7s 6d. 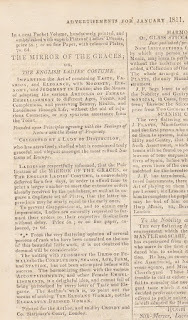 IMPARTING the Art of combining TASTE, FASHION, and ELEGANCE, with MODESTY, ECONOMY, and JUDGMENT IN DRESS; also the Means of adapting the various ARTICLES OF FEMALE EMBELLISHMENT to different Ages, Forms, and Complexions, and preserving Beauty, Health, and Loveliness throughout Life, without the aid of injurious Cosmetics, or any spurious assistance from the Toilet. Founded upon Principles agreeing with the Feelings of Nature and the Rules of Propriety. who has attentively studied what is considered truly graceful and elegant amongst the most refined Nations of Europe." 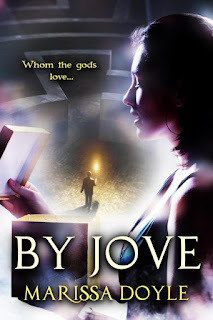 I will admit that I gave a bit of a jump...because this little gem can actually be found in reprint form at your favorite on-line book retailers (or free to view online at https://archive.org/details/mirrorgracesore00distgoog) It was republished under the name Regency Etiquette and subtitled The Mirror of Graces (1811)—a rather misleading title, since it has almost nothing to do with etiquette. It was undoubtedly popular back in its day—the advertisement noted that there would be a delay in its release because the bookseller had been forced to go back to press to satisfy the large number of pre-ordered books, and subsequent (and possibly pirated) editions were published in New York, Edinburgh, and Boston. I recommend you have a look—the style can be a little heavy-going (and unintentionally amusing to modern readers) but it’s a fascinating precursor to today’s fashion and beauty magazines and self-help books...and a mirror not only of “the graces”, but also what society’s expectations were of women in that time.